One of the best ways to view Colorado's beautiful scenery is on horseback. An experience straight out of the Wild West, horseback rides can be found to suit the age & skill level of everyone in your group, even hut trips and multi-day backcountry rides that are sure to create unique vacation memories. 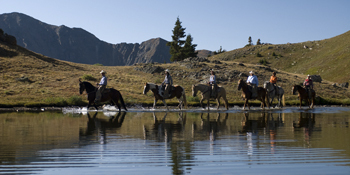 See All Activities & Horseback Riding items in Summit County, CO.